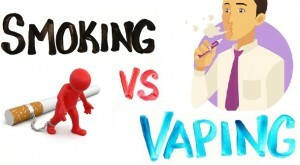 Is vaping really better then smoking? Ever since we were kids we were told not to smoke, As it leads to tooth decay, strokes and even worse multiple types of cancer. With technology always developing this lead to vaping. With the sudden spurse of popularity, people are saying that vaping is better then smoking. Is this new smoking technology actually better for you? Well According to The Brain from Top to Bottom when you are smoking normally the fire when lighting for example a cigarette the vapor releases nicotine which then releases dopamine in the brain. When the affect is over this leads to a upset and makes your brain/body wanting more nicotine and thus causing addiction. Also in the vapors are other particles like cancer cells and other harmful reactors to your body. This is where vaping comes in. According to The Circulation vaping cartridges have different nicotine content from manufacturers and the nicotine content also varies from different flavors. Even though the nicotine content varies in vaping it is shown to have less nicotine then a cigarette. They also found that secondhand smoke isn’t as bad with vaping because it has lower toxic levels in the air. Again according to The Circulation, there are some health effects from Vaping the most common are Irritation in the eyes and the lungs. There are still a lot of things we do not know about vaping technology as compared to the long term studies of regular cigarettes. According to The Circulation and PubMed.gov Vaping technology is still too new to know whether it has other effects for example long term, So for now we would just have to wait till the future to see if there are any long term effects. Vaping is proven to have helped on the cessation of smoking cigarettes, however it may also become addictive for people who did not smoke before and are following this new “trend”. I was intrigued by the effects that vaping have on an individual since evidence suggests that improves the respiratory conditions of regular smokers. However, I found an article that talks about its negative effects on health. Even though it helps people leave regular cigarettes, chemicals in e cigarettes have indicated health risks due to toxins. Yeah, I know that it is appealing to the younger generation is increasing within every year.It also makes people want to smoke if they got off of it before or those who never tried it. Being that I used to smoke, and then I went to vaping, and now I don’t do either and have quit, I think that vaping is healthier than smoking. Vaping is cleaner, less nicotine, and doesn’t smell as bad. As for the long-term effects, we are unsure right now because vaping hasn’t been around long enough for us to know the long term effects of vaping, All in all though, I think vaping is a healthier, and more social friendly alternative to smoking. Vaping is proven to have helped on the cessation of smoking cigarettes, however it may also become addictive for people who did not smoke before and are following this new “trend”. I was intrigued by the effects that vaping have on an individual since evidence suggests that improves the respiratory conditions of regular smokers. However I found an article that suggests that even though it helps people leave regular cigarettes, chemicals in e cigarettes have shown indicated health risks due to toxins. The article gives a really different idea behind the use of vaporizers as a alternative for cigarettes. We know for a fact that cigarettes are very bad for you and we know what long term effects of them. On the other side, vaping is a new technology. Yes, vape juice does contain less chemicals and tar than cigarettes but we don’t know the long term effects are. So if we know cigarettes do cause negative effects to the body then we should switch over to vaporizers and electronic cigarettes. If there is potential to become healthier by switching why haven’t researchers and sicentis dug any deeper into the causes and effects of vaping? This article talks about a chemical called diacetyl which is known for causing a disease called popcorn lung when inhaled. Diacetyl’s purpose is to chemically sweeten the flavoring used in vaping. Popcorn lung got its name because in the 1900s, workers in popcorn factories would be inhaling diacetyl all day five days a week and as a result, contract popcorn lung. Although this may sound scary, popcorn lung is a pretty much harmless disease and requires a lot of inhaling of diacetyl to contract. Popcorn lung is basically self inhibited asthma. Yeah it is found in e-cigarettes and it should be a concern to those who do it. 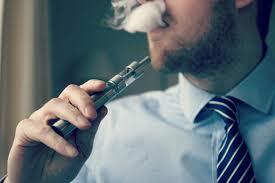 Also since e-cigarette is considered healthier they are appealing more to the younger generation and is increasing. The only problem is that we do not have the long term studies compared to cigarettes. Vaping has always struck me as an odd way to quit smoking. All it seems to do is replace the habits of smoking cigarettes with another smoking (vaping) habit. To me it seems that if you are trying to quit smoking, replacing it with another nicotine alternative isn’t the best idea. I also think vaping can not be that much healthier than smoking. This article talks about a study that could show that vaping and electronic cigarettes being worse for our health than we thought. http://www.telegraph.co.uk/news/2016/08/29/vaping-as-bad-for-your-heart-as-smoking-cigarettes-study-finds/ . Even though this was not a long-term study, it still shows that vaping isn’t as safe as most people thought. The only way to find out the real effects of vaping is to do long-term studies to determine the healths effects. It would take time, but could also reveal some dangers that vaping poses. At this point, only time will tell us whether vaping is safer than smoking a traditional cigarette. Hopefully we find out soon incase there are any serious risks that vaping has. states how the FDA has not fully approved e-cigarettes and vapes yet as alternatives to smoking! Also, it stated how the vape flavors could influence the addictive parts of nicotine! I found this topic really interesting as I have begun to wonder what the benefits of vaping versus smoking are as vaping has grown more and more popular. When I did some digging of my own I was shocked to find out that there were reports of cancer-linked formaldehyde in the vapors. However, it appears this is only a problem when people are vaping at incredibly high voltages. The article I have linked below suggests the key to making vaping truly a safer alternative to smoking is to regulate the voltage at which people can vape. You should check it out! Anything related to drugs can either be positive or negative. In this case, vaping tends to be more negative. I don’t think it’s a matter of whether vaping is better than smoking (because, let’s be honest, they’re both pretty bad), but rather whether smoking causes more damage than vaping. It’s true that cigarettes have a higher concentration of nicotine, but that doesn’t discard the fact that vapes have nicotine in them as well. Arguably, vaping might even be considered more mentally harming than cigarettes because people might reason that they’re not as physically harmful as cigarettes. Read this article on vaping health effects, it’s really eye-opening (https://www.sciencenews.org/article/vaping-linked-host-new-health-risks). Yeah, I’m sure in a couple of years when the data comes for long term people will be turned off by it, I mean it still has nicotine and its addictive. This is a very important topic because obviously smoking is a big problem in society due to its negative health effects. If more studies are done and can prove that vaping is safer than traditional smoking this could be a big step. Although vaping would still not be good, at least people would not be doing as much harm to themselves. I have a few smokers in my family and we always try to get them to quit. If vaping turns out to be safer maybe we can get them to transition to this so they are not doing as much harm to themselves. There are some cases that say it does help people get off cigarettes. but just because its better then smoking doesn’t mean it doesn’t have its side effects either. The technology is still too new to see the long term effects it is seen to link with cancer its just not as bad as smoking cigarettes. Vaping also contains other harmful chemicals.